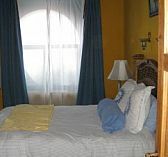 I am looking for a short term rental in the central part of the City as a way to discover if we like living there. If it suits our needs, then we will stay longer. We would be willing to pay 1,000 too 2,000 USD per month. Neighborhood must be safe and it would be nice if it had 2 bathrooms. I am also interested in the Lake Chapala area. If you really want to email me you can at olderexecutive no space at yahoo dot com.